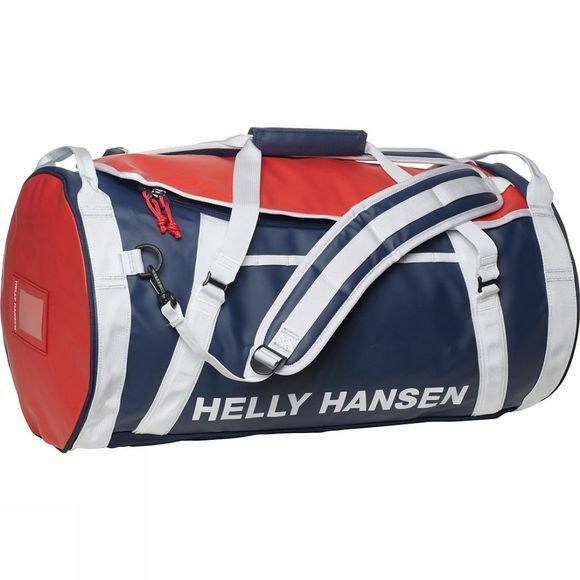 The HH Duffel Bag 2 from Helly Hansen is a sporty looking duffel bag constructed with a packable solution and a waterproof, soft main fabric. The bag offers great versatility with multiple compartments and conversion between bag and backpack. Please note that while the fabric is waterproof the seams have not been sealed therefore this bag can't be considered a waterproof bag.